Our range of products include burner controllers and advanced burner controllers. The most sophisticated Burner Controllers Provide excellent safety features and user Flexibility. Flexibility to change the Sequence timings makes these Burner Controllers OEM friendly and helpful feature during commissioning. Inbuilt LED Bar Graph for Flame Strength Indication. 7 Segment LED Indicator for Sequence Status and Fault Indication. Inbuilt Self Check features Lockouts in Case or any Internal Hardware or Software Failure. Device Safety feature for Burner Controller does not start sequence or Lockouts if any of the Connected Valve or Ignition Device is not detected or Open Circuited. Same Burner Controller can be used with Flame Rod, Uni Rod or UV Sensor Input at any time without any Hardware or software changes. Robust Aluminum Enclosure for Safe Field Mounting Near to Burner. Also, eliminates the need for separate Panel to Hose the Burner Controllers. 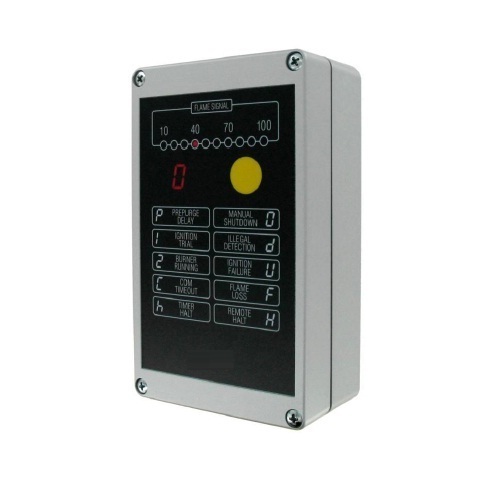 Rugged Aluminum Enclosures, Best to suit the Harsh Industrial Environments. ‘N‘ type Enclosure which is the Latest, Standard and Versatile Aluminum version. It has breakable holes for Mounting Fittings and Wiring Connections. It is Epoxy Coated with Gloss Finish which Protects the Aluminum from Oxidation and maintains a Good finish over a Longer Period of time. Plastic Body Version ‘P’ recommended for Installation for Panel Fascia Mounting and Atmospheres favorable for Plastic, Like an Air Conditioned Control Room. Version ‘B’ is for Pipe Mounting installations near the Burner. High-Temperature Flame Sensor Bypass feature bypasses the Flame Sensor above 750 Deg. C.
Configurable Inputs and Outputs is a Very OEM friendly feature enables the use of Burner Controller for a variety of applications. Outputs for Blower / Air Valve and Air Damper Motor Control. Accepts Separate Flame Sensor Inputs for Main and Pilot Flame. 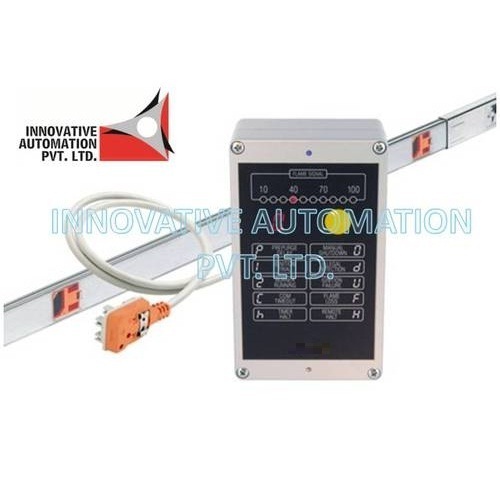 Additional Communication feature for interface with PLC / DCS. Looking for “Contrive Burner Controllers”?